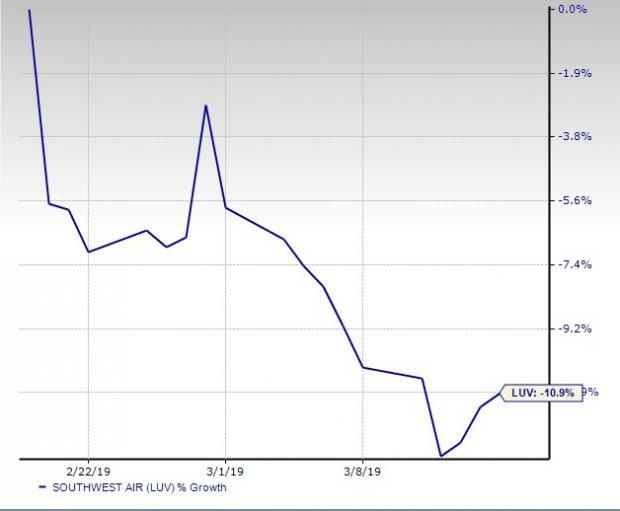 Southwest (LUV) Inks Tentative Deal With AMFA: What's Ahead? Southwest Airlines LUV inked a tentative labor deal with the Aircraft Mechanics Fraternal Association (“AMFA”) — the union representing 2,400 mechanics at this low-cost carrier. This latest provisional pay-related deal comes after six years of negotiations between the parties. In fact, operations at Southwest had been hampered of late due to the dispute with AMFA. The company had to cancel multiple flights as mechanical issues continued to render them unfit for flying. Consequently, the Dallas-based carrier declared an ‘’operational emergency’’ and also apologized to its passengers for the harassments. Per Southwest’s CEO, the flight cancellations/delays resulted in the carrier losing millions of dollars on a weekly basis. Subsequently, the carrier filed a case against AMFA as it believed that the union was aiding the illegal slowdown in operations. Realizing that the situation might go out of control, the Federal Aviation Administration (“FAA”), in an unusual move, warned the parties that the conflict between them might pose safety-related risks. Mediation followed the FAA’s warning and led to the tentative deal. The tensions between the parties also caused the Southwest stock to shed 10.9% of its value in the past 30 days. Even though a provisional agreement has been reached between Southwest and AMFA, there is still some way to go before it becomes effective and mechanics clinch the long-awaited contract. Notably, tentative agreements do not necessarily mean that the deal will be operational. The provisional deal will now be voted on by the mechanics and will be operational only if the voting outcome is favorable. On completion of the ratification process, the deal will be valid for five years and guarantee mechanics at Southwest a 20% pay hike in addition to bonuses worth $160 million. Naturally, we expect investors to keenly await further updates on this burning issue. Southwest carries a Zacks Rank #3 (Hold). 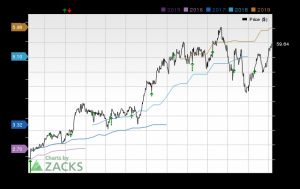 Better-ranked stocks in the same space are Azul AZUL, Air China Ltd. AIRYY and SkyWest SKYW, each sporting a Zacks Rank #1 (Strong Buy). You can see the complete list of today’s Zacks #1 Rank stocks here. Shares of Azul, Air China, and SkyWest have gained more than 16%, 21%, and 15%, respectively, on a year-to-date basis.